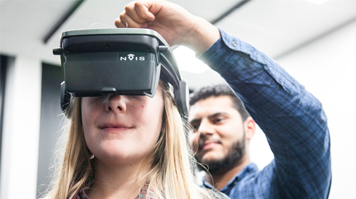 You'll gain the knowledge and training needed to meet future demands for products and services in mechanical engineering, mechatronics and product and engineering product design. Well-placed and considered investment means you'll have access to up-to-date and large-scale workshops, laboratories and design studios. And you'll learn in an environment that is absolutely in tune with leading technologies. 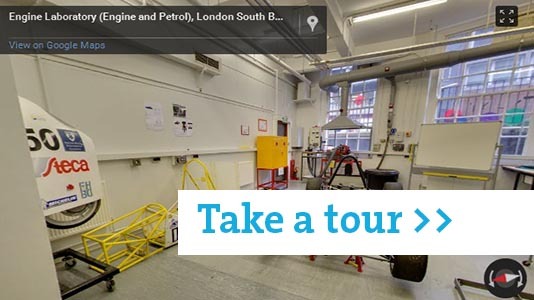 Take a tour of the Engine and Petrol Laboratories. Rapid prototyping technology – multi-material 3D printers and laser cutters. Photoshop, Illustrator, InDesign, After Effects, Premiere: industry standard software for professional graphic design, film and video editing and website development. AutoCAD, Inventor, Alias, VRed: a comprehensive 3D rendering software package that delivers simulation, collaboration, visualisation and digital prototyping tools for the complete design and engineering process. 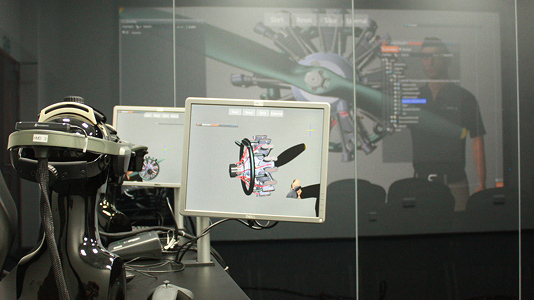 Simulation software that enables students to create models that predict how their products will operate in the real world. For example, our Computational Fluid Dynamics (CFD) package allows students to model air flow over vehicles, while our Finite Element Analysis (FEA) package helps students select the optimum materials and components for their design proposals. This advanced engineering package is perfect for digital manufacture and equips students for work in a typical professional environment. MATLAB® is a high-level language and interactive environment for numerical computation, visualization, and programming. You can use MATLAB for a range of applications, including signal processing and communications, control systems, test and measurement. More than a million engineers and scientists in industry and academia use MATLAB, the language of technical computing. A graphical programming platform that helps engineers scale from design to test, and from small to large systems. It is a development environment for problem solving, accelerated productivity, and continual innovation. Our facilities for materials research are extensive and include sophisticated equipment for growing engineering coatings and functional thin films for devices such as solar cells. They support sophisticated characterisation techniques, including electron and atomic force microscopies and nanohardness testing that probe materials at the nanoscale. In our on-going desire to be in line with current technologies, we have installed scanning acoustic microscopy technology to non-destructively examine sub-surface defects and features.